Guess whether the condo association or homeowners insurance pays in these scenarios. 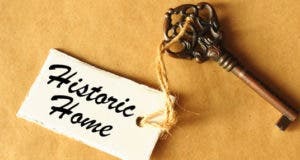 Find out about home insurance that provides special coverage for residences that are relics. Homeowners insurance may not provide liability coverage for self-defense. Special policies do. Learn to find your insurance deductible ‘sweet spot’ where savings and risk are in balance. When renting, don’t assume your personal content and liability are covered by a landlord’s insurance. Winter storms can leave you buried — in bills. Make sure your insurance will dig you out. Homeowners and renters can get low-interest loans to repair or replace property. Hurricane deductibles may have been waived for Superstorm Sandy, but beware of little-known "windstorm" deductibles. Commonly known as home insurance, this coverage protects you from natural hazard damage.